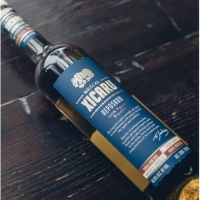 Xicaru Reposado is made with 100% Agave espadin cooked in a conical stone oven with mesquite and ocote woods. After tahona-mas. . . hing, natural fermenting and double-distilling, the mezcal is ready for aging. For two to four months, Xicaru Reposado is allowed to rest in medium-toasted American oak barrels. Barrel aging naturally imparts both the straw color and subtle sweet notes that complement the unique characteristics of a traditional mezcal. The herbal, smoky taste of the cooked agave is softened on the palate by the delicate tinge of vanilla and caramel. This beautifully rounded flavor finishes smoothly and cleanly. Enter the email address of your friend, add a personal note. We'll send this message on your behalf. I would like to be anonymous. © 2019 Liquor Store Online. All Rights Reserved.